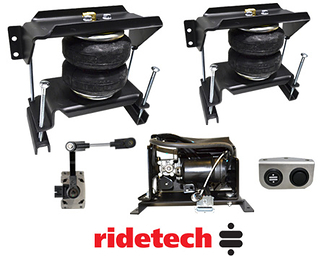 Increase your trucks level load capacity !!! 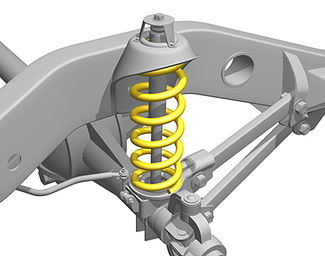 Air and steel helper springs are adding to your existing leaf or coil springs to increase your vehicles level load capacity. 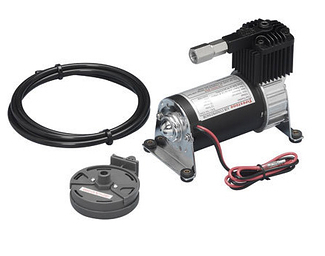 Most are adjustable to minimize effect on your ride without a load. 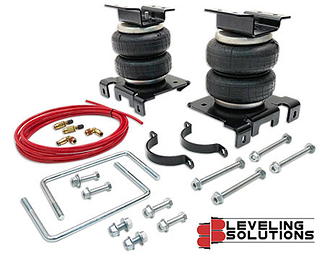 At Suspension Connection one of our specialties is load support products. 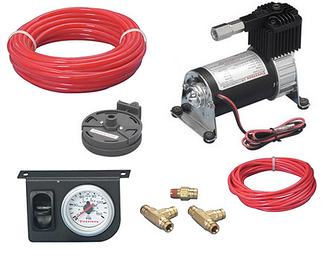 We carry the finest brands in the automotive industry to help your truck or suv with hauling of heavy or light loads. 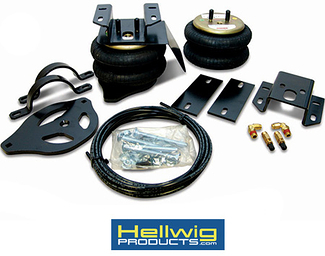 Including Firestone and Air Lift for your suspension air bag needs or Hellwig and SuperSprings if you are looking for the traditional bolt-on helper springs. 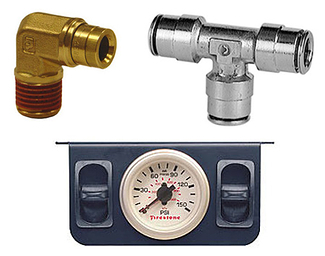 Our staff has decades of experience in selling and installing these products, and will help you make the right buying decision. 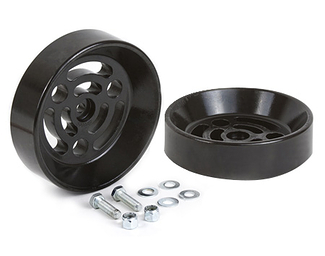 WHY A LOAD SUPPORT PRODUCT: When hauling or towing a heavy load this can put excessive amounts of stress on your stock leaf springs and axle. 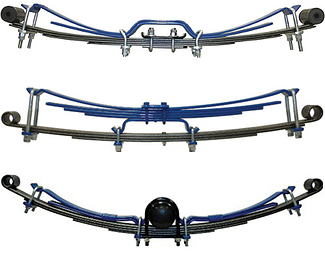 This can lead to your leaf springs sagging over time. A heavy load can also affect the handling by causing increased amounts of sway, which can cause your vehicle swerve at unwanted times. 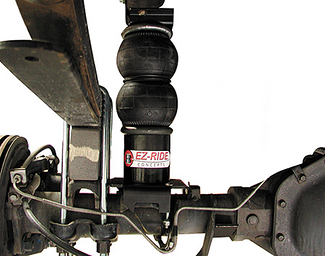 Adding a set of helper springs or air bags will stabilize your rear end and keep the rear from sagging on most cases. 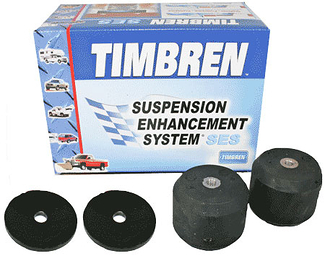 SUSPENSION AIR BAGS: Currently the most popular load support option is suspension air bags or also referred to as air helper springs. 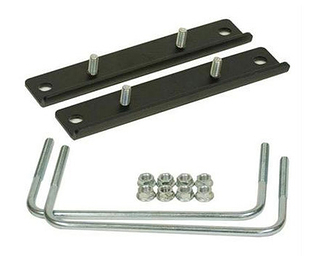 On most trucks and suvs these are designed to install between the frame and rear axle using the including brackets and hardware. 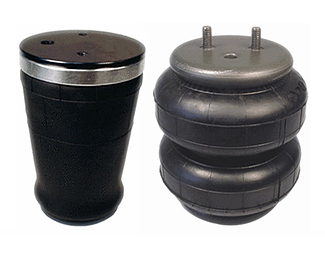 Many vans, cars and some suvs will use an air spring that inserts inside the factory coil springs. 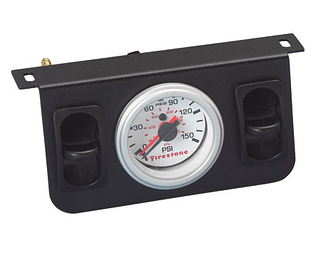 Once installed, you will inflate (manually or with optional air compressor) the air bags to a desired air pressure. The air pressure is what will determine the amount of support the bags will give. 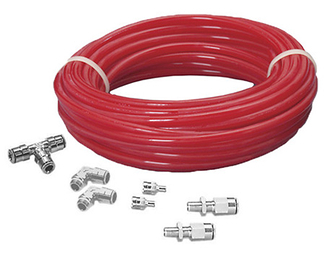 Installation is generally simpler than most would think. 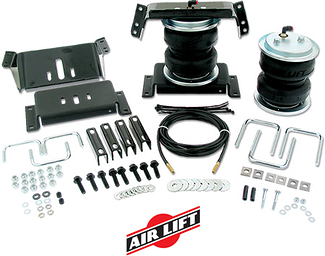 All kits from Firestone, Air Lift and Hellwig are custom fit for specific vehicles. Installation is generally simpler than most would think. 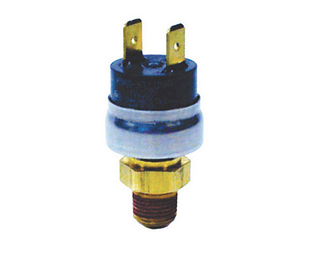 Most require no drilling by using existing holes in the frame. 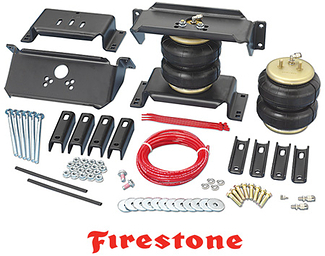 Firestone and Air Lift are backed by a limited lifetime warranty. 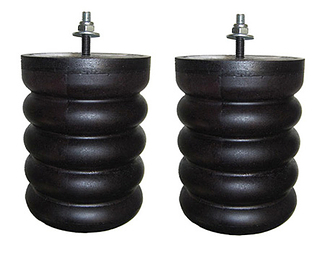 STEEL HELPER SPRINGS: A very popular alternative to air springs is the traditional steel helper springs. 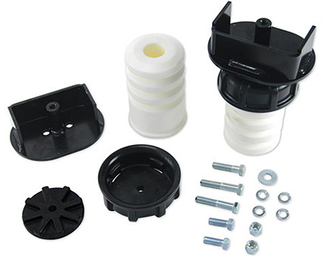 These load support add-ons are designed to assist your factory springs when a load is applied to your vehicle. 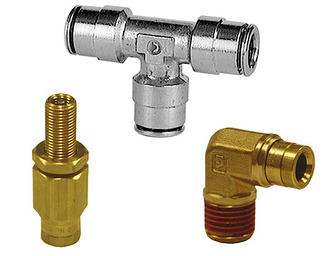 Hellwig helper springs are fully adjustable simply by tightening the included u-bolts. 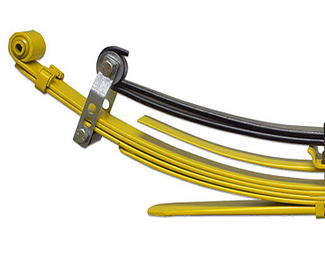 SuperSprings are designed with the heavy hauler in mind. 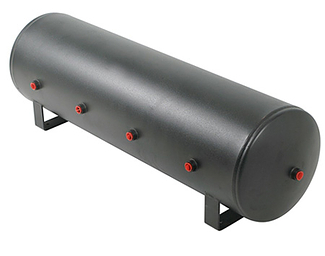 These never need adjusting and will support between 2000 lbs and 3000 lbs.